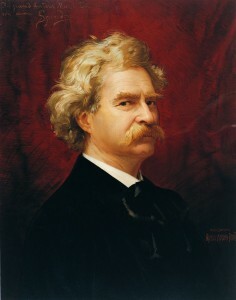 I always enjoy Mark Twain’s short stories. He seems to have a thing about glass eyes, and I think it’s hilarious. Mrs. W. M. was attired in an elegant ‘pate de foie gras,’ made expressly for her, and was greatly admired. Miss S. had her hair done up. She was the center of attraction for the envy of all the ladies. Mrs. G. W. was tastefully dressed in a ‘tout ensemble,’ and was greeted with deafening applause wherever she went. Mrs. C. N. was superbly arrayed in white kid gloves. Her modest and engaging manner accorded well with the unpretending simplicity of her costume and caused her to be regarded with absorbing interest by every one. The queenly Mrs. L. R. was attractively attired in her new and beautiful false teeth, and the ‘bon jour’ effect they naturally produced was heightened by her enchanting and well-sustained smile. 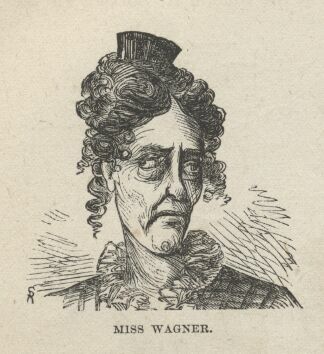 She was a good soul—had a glass eye and used to lend it to old Miss Wagner, that hadn’t any, to receive company in; it warn’t big enough, and when Miss Wagner warn’t noticing, it would get twisted around in the socket, and look up, maybe, or out to one side, and every which way, while t’ other one was looking as straight ahead as a spy-glass. ‘Grown people didn’t mind it, but it most always made the children cry, it was so sort of scary. She tried packing it in raw cotton, but it wouldn’t work, somehow—the cotton would get loose and stick out and look so kind of awful that the children couldn’t stand it no way. She was always dropping it out, and turning up her old dead-light on the company empty, and making them oncomfortable, becuz she never could tell when it hopped out, being blind on that side, you see. So somebody would have to hunch her and say, “Your game eye has fetched loose. Miss Wagner dear”—and then all of them would have to sit and wait till she jammed it in again—wrong side before, as a general thing, and green as a bird’s egg, being a bashful cretur and easy sot back before company. But being wrong side before warn’t much difference, anyway; becuz her own eye was sky- blue and the glass one was yaller on the front side, so whichever way she turned it it didn’t match nohow.